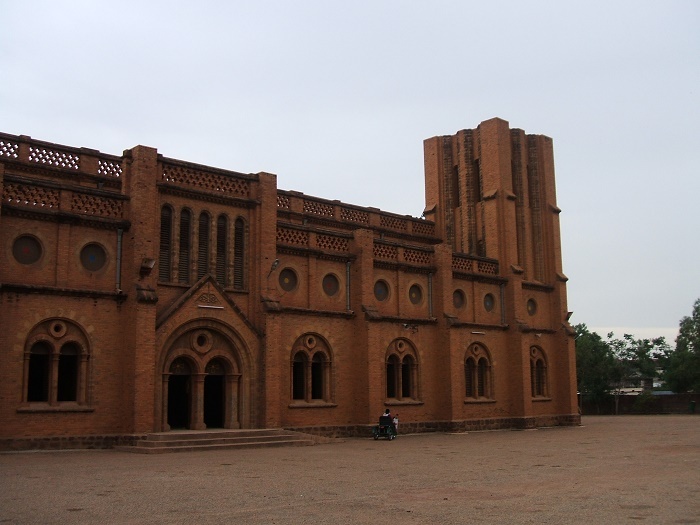 Ouagadougou Cathedral, also known as the Cathedral of the Immaculate Conception of Ouagadougou, is a large Roman Catholic cathedral that can be found in the capital city of Ouagadougou, within the landlocked country in West Africa, Burkina Faso. 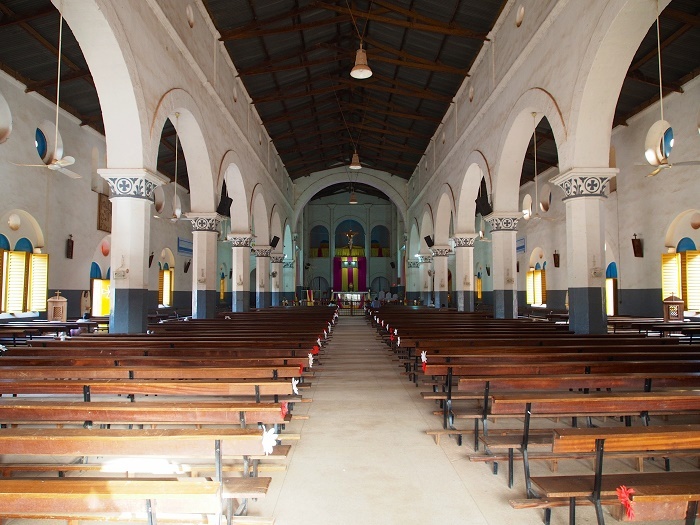 Built at the beginning of 1930 by apostolic vicar Joanny Thévenoud from the White Fathers when the region was known as French North Africa, it took nearly 2 years for this religious structure to be built. 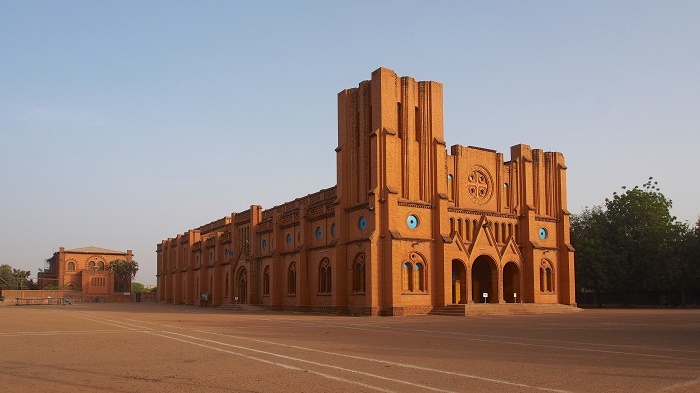 Considered to be among the largest cathedrals in West Africa, the is certainly the biggest one in Burkina Faso, however, the exterior design is quite intriguing as the entire structure was built with mud brick. 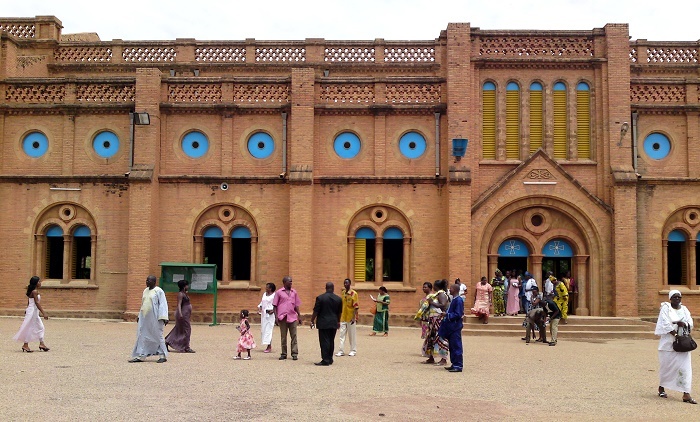 The design follows some sort of Romanesque Basilica architecture that can be found around Europe, even though it reminds a little bit more to Notre-Dame de Paris, especially at the front entrance. 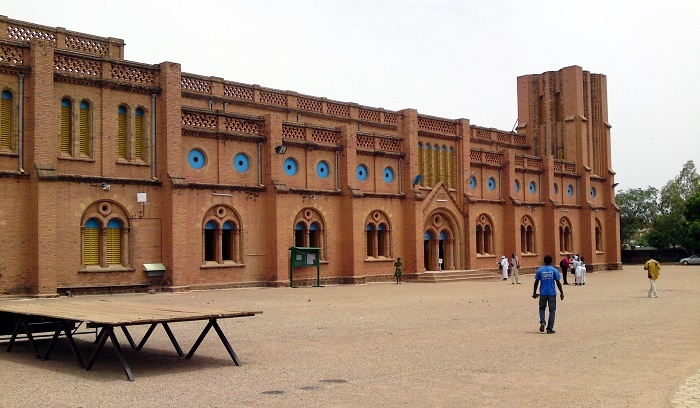 Having two towers at each side of the arched entrance, reminding everyone that the architectural style is European, it is the red mud bricks of the entire structure that gives the feeling of an African feel. 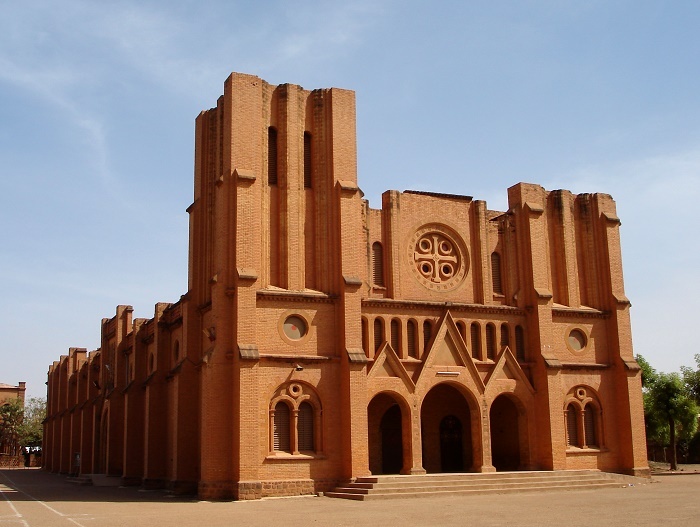 One of the most impressive features is the stone-carved statue that is dedicated to the Virgin Mary, Ave Maria, and this cathedral is beyond any doubt among the most interesting landmarks the city of Ouagadougou has to offer to the visitors.